If those stunning covers don't give it away already, Marvel's upcoming range of Avengers Origins one-shots are set to reward all the fine-tastebud bearing comic fans who have waited patiently over the years for the likes of the over-looked Vision or marital marvel's The Wasp and Ant-Man to get their due. 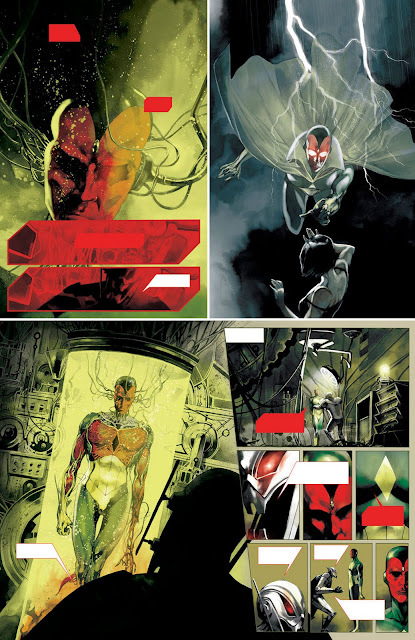 Ant-Man and Wasp by Roberto Aguire Sacasa and Stephanie Hans, Luke Cage from writers Mike Benson and Adam Glass with art by Dalibor Talajic, Quicksilver and The Scarlet Witch by Sean McKeever, Thor by Katherine Immonen, The Vision by Kyle Higgins and Alec Siegel, illustrated by Stephane Perger. 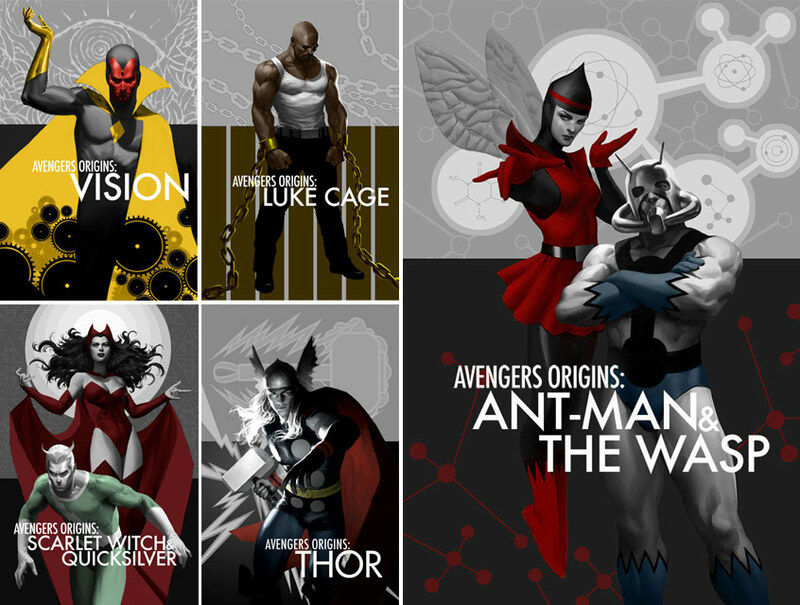 I'm interested in all, but specially in QuickSilver and the Scarlet Witch. The others will surely be great too.